Help save energy and money with the Bosch Alexa-Enabled Connected Control Wi-Fi Thermostat. Easily control your home temperature with the sound of your voice as you communicate with the Amazon Alexa smart device. The full color 5-inch display thermostat touchscreen automatically turns on and off while you’re away from home. Both comfort setting and intuitive scheduling makes it easy for you to choose a temperature for different times of the day without having to worry about your house being to hot or cool while not being there. Easily connect to Wi-Fi and view outside temperature to determine your in-home temperature throughout the day. The touch screen main menu features, date, time, temperature control, humidity, fan operations and general mode. 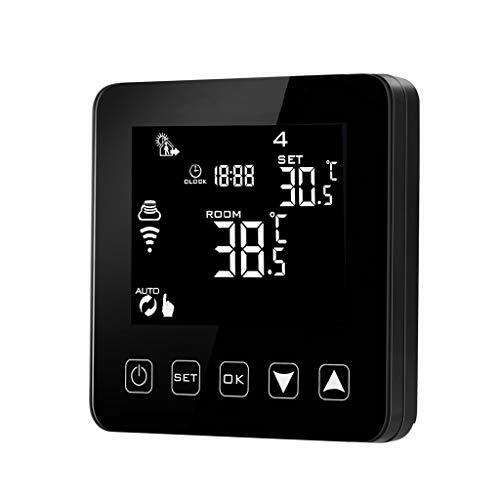 You are able to access the main screen and set up thermostat from any smart phone or tablet. The Bosch Thermostat is compatible with any 24 VAC HVAC equipment on the market or any humidifier or dehumidifier. A C-wire (common wire) is required to power the unit. The C-wire is used to provide power to the thermostat and is available on most HVAC systems today that have three or more wires. Third party aftermarket products exist for adding powering options in instances where a C-wire does not exist. Includes a 5-year manufacturer warranty. 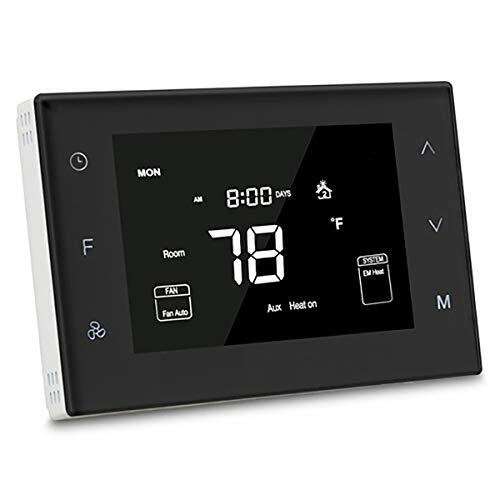 Product Enhancements for Commercial Use: Humidifier Algorithm Update allows the thermostat to control both evaporative and steam type external humidifier accessories. Dehumidifier Algorithm update includes Hot Gas Reheat compatibility that allows the thermostat to meet the humidity set point when connected to products equipped with a Hot Gas Reheat coil, such as a Bosch Water Source Heat Pump. 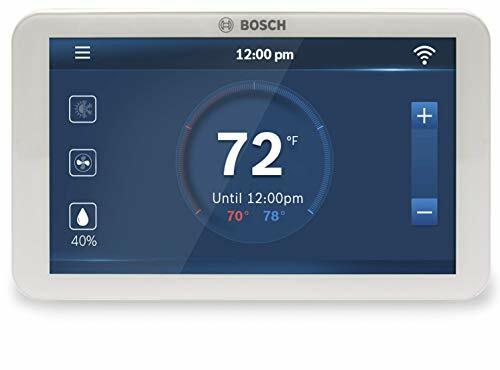 This feature also allows the thermostat to meet the humidity set point through passive dehumidification when using Bosch Water Source Heat Pumps equipped with an ECM Motor. 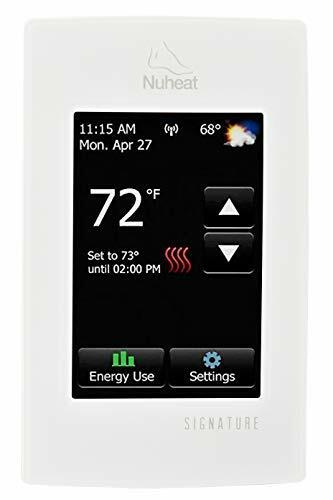 The new Cool to Dehumidify feature allows the thermostat to meet the humidity set point while in cooling operation when connected to an external dehumidifier accessory. Both configurations allow the thermostat to function as a humidistat to meet the humidity set point.